Charlie Strong took a stand Tuesday night. A necessary and proper one. The second-year Texas head coach was emotional but resolute when he announced he had demoted play-caller Shawn Watson and given his duties to wide receivers coach Jay Norvell. Norvell was in that role for four of his seven years at Oklahoma before joining the Texas staff last January. Again, Strong gets it. He wasted no time, acting decisively after the loss to Notre Dame, and named Norvell his new offensive coordinator. Watson will remain on the staff and handle the quarterbacks, Joe Wickline will focus solely on the offensive line, and Norvell will call plays beginning this week against Rice. So basically Wickline got stripped of the play-calling duties he never had. Some might say it smacks of desperation. I say it smacks of smarts. Malik Zaire might be just that good, not that we could tell exactly because Texas put next to zero pressure on the Irish quarterback making just his second start. Linebacker Malik Jefferson and defensive end Naashon Hughes were two of the few bright spots for Texas. By the way, I’m calling it a 38-9 loss. Nick Rose deserved credit for those two 52-yard field goals he kicked before Brian Kelly’s very rude two timeouts negated them. I just hate the rule that allows coaches to call a timeout just nanoseconds before the ball is snapped. I’d alter the rule and force coaches to ask for a timeout before the center grabs the ball. Just patently unfair to kickers. Texas has really mucked up its search for a new football sports information director. UT let John Bianco go in early June but still hasn’t announced a successor. 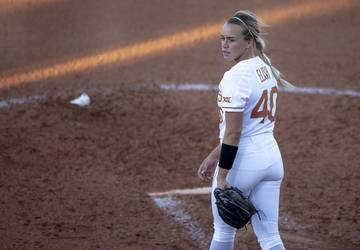 The sports publicity staff is down four people who either quit or were fired, and now Texas finds itself in the second week of the 2015 season without a football SID. The office appears to be in disarray, too. There was little to no interaction with the media at the Notre Dame game, and there were no postgame Texas notes available for the first time in memory. 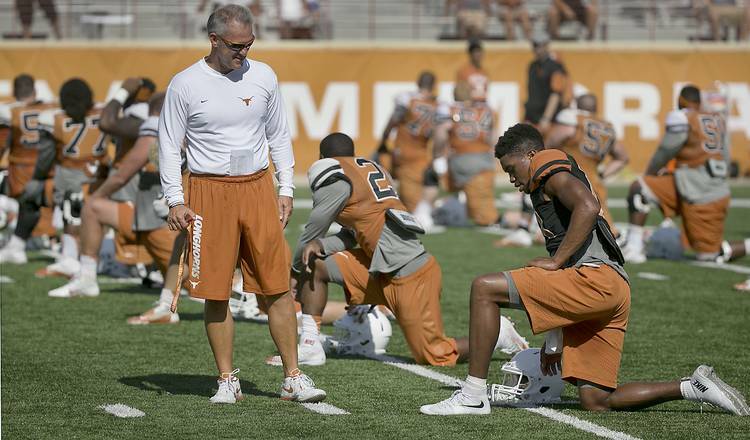 Crazy prediction: Jerrod Heard will play more snaps than Tyrone Swoopes against Rice. Here’s a link to my full Nine Things and One Crazy Prediction column.